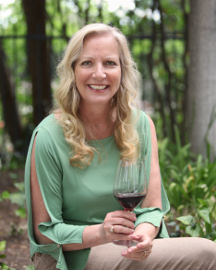 (OJAI, Calif.) — For 30 years, the Ojai Wine Festival has served as the primary non-profit fundraising effort of the Rotary Club of Ojai-West and its numerous philanthropic endeavors that serve to preserve the distinct events and qualities that make Ojai unique. 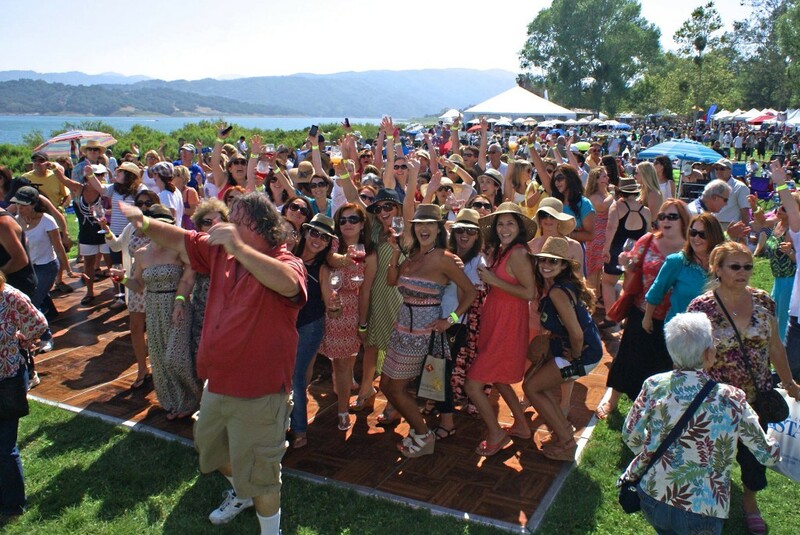 This year, the 30th Annual Ojai Wine Festival will be taking place Sunday, June 12, from noon-4 p.m. on the shores of picturesque Lake Casitas. 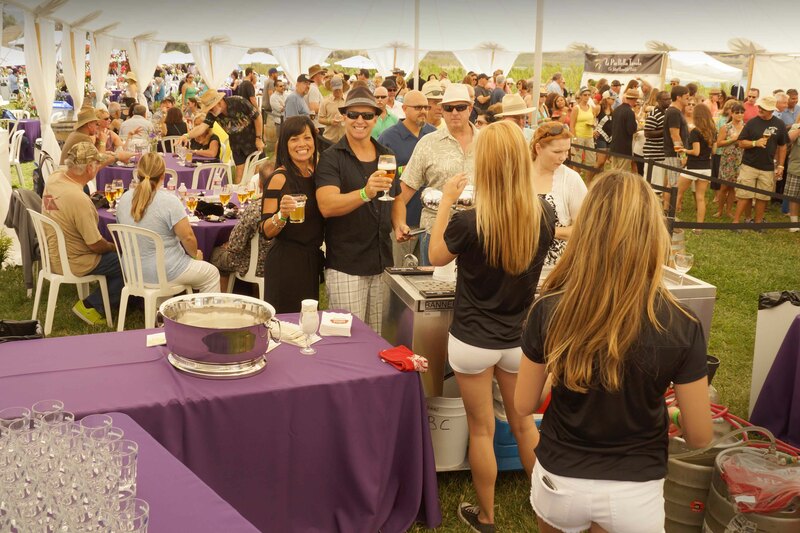 Proceeds from the signature Southern California fine wine and craft beer event have supported Ojai’s historic free summer concerts in Libbey Park for the past 15 years. Funds are regularly contributed to maintain the bandstand, purchase instruments, and provide supplies for the concerts which attract 300-400 attendees each. Libbey Park’s natural oak tree canopy provides the perfect backdrop for the concerts, but other areas of the town’s iconic park are in need of upgrades. The Rotary Club of Ojai-West is spearheading the funding and installation of the beautiful Libbey Park shade sail project to cover and protect the city’s most popular children’s play area from extreme sun exposure during the summer months. 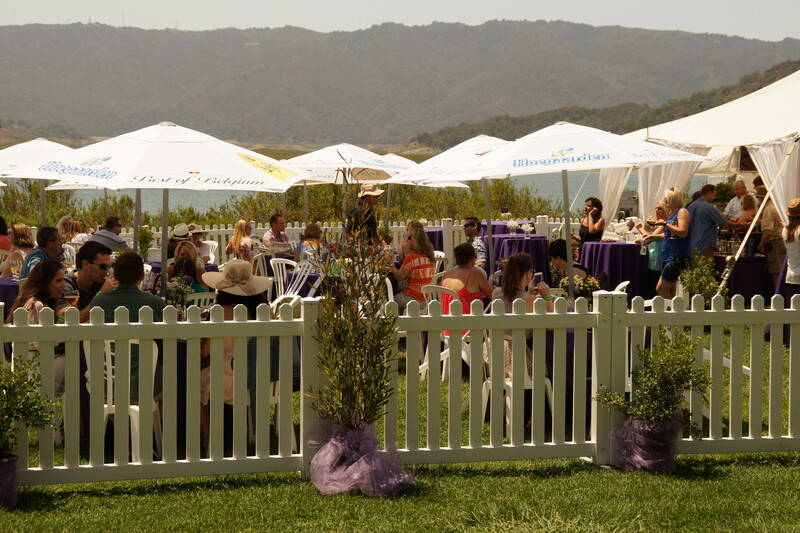 The club’s $15,000 commitment to the costly project will be funded with proceeds from the Ojai Wine Festival. This year’s festival has been expanded to include exceptional collection of wineries with an extensive VIP tasting experience and winery tours, a silent wine auction, a beer garden with over 30 craft beers, a selection of local restaurants selling culinary delights, arts and crafts vendors, musical entertainment, a lakeside dance floor and 30th Anniversary cake cutting ceremony sponsored by Barefoot Wines. 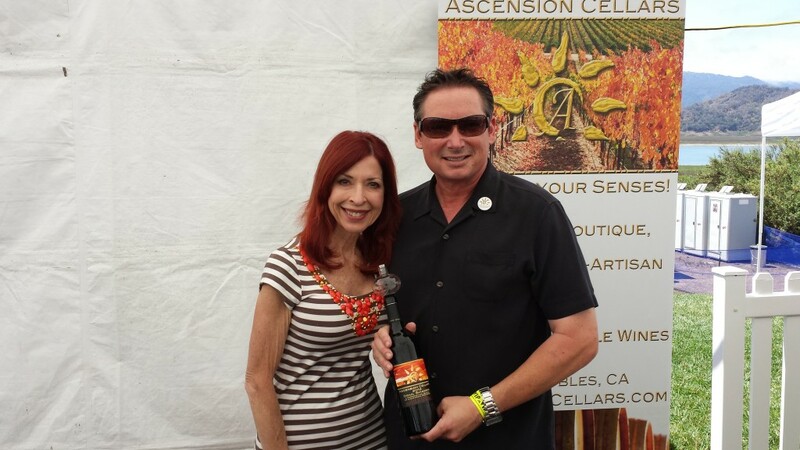 We were attending the Ojai Wine Festival in 2013 and Karen had just come back from the VIP Tent. “You have to try Law”, she said. “They’re wines are really good.” She was right. They were definitely our [well her] find of the festival that day. 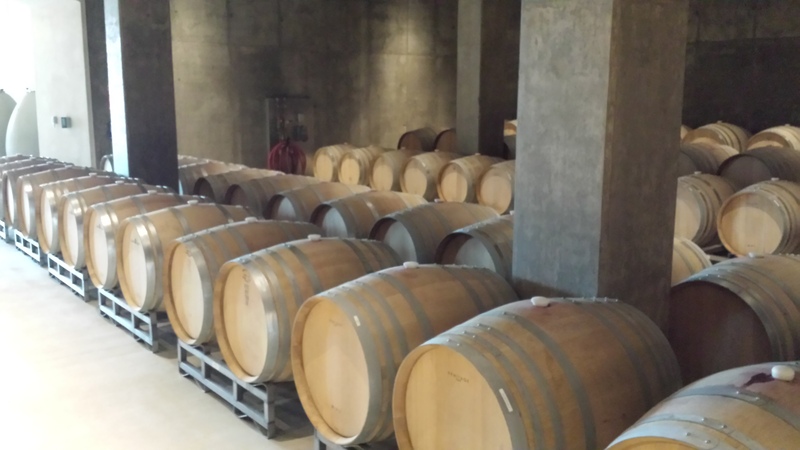 We visited general manager Oliver Esperham sometime after that at the still-under-construction winery in Paso Robles and tasted through the whole lineup of the winery’s first 2010 vintage releases. We found extremely high quality across the board. 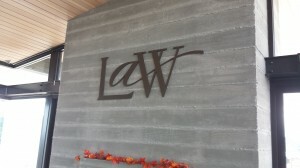 The winery and tasting room are now open and we paid Law a return visit recently. 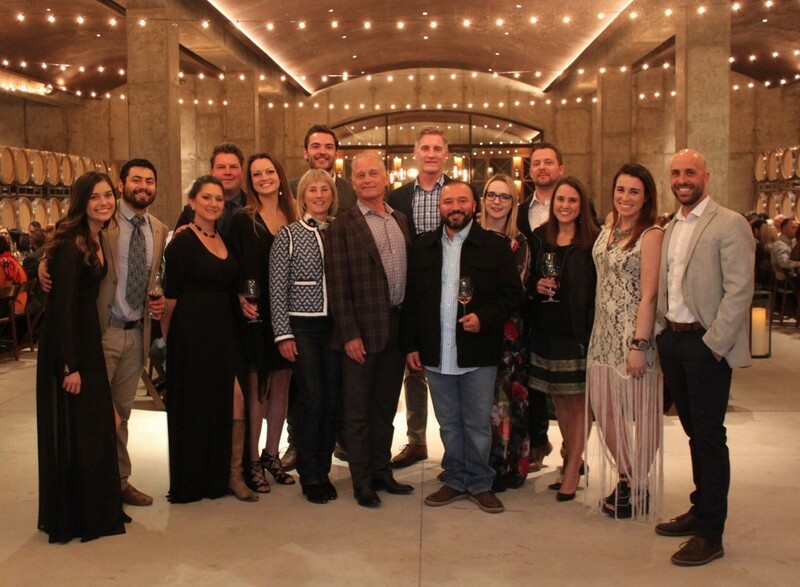 Everything is state of the art, the winery itself is practically a work of art, and rockstar winemaker Scott Hawley and his team make the wines. Clearly, no expense has been spared by owners Don and Susie Law. And while I have reported on Law before, my expectations that with all the resources that were committed to this effort, the results had to be good. When we sat down and tasted the 2011 releases at the winery, I realized these wines were not just really good. I am always loathe to toss out superlatives like “best ever” or to try to assign numerical scores to a subjective topic. I can, however, say that without question that I cannot recall tasting another winery’s lineup where the wines were better than these. 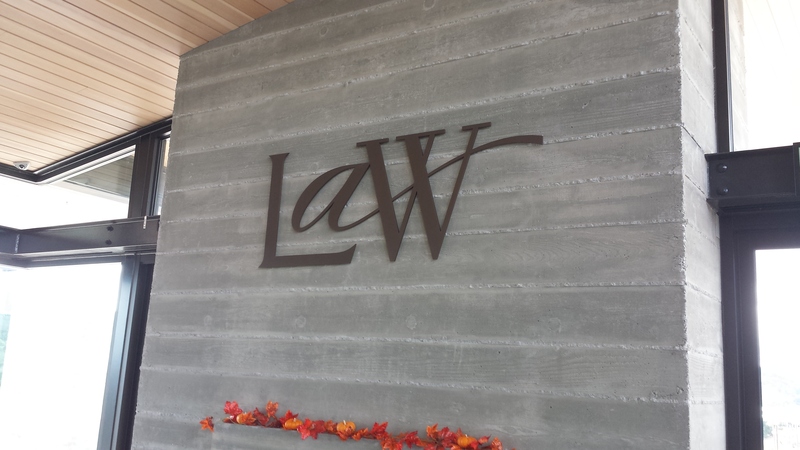 As I said, the last time I tasted the Law wines was the 2010 vintage. 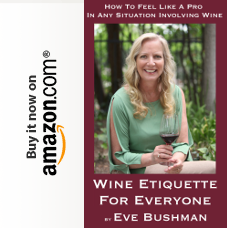 At the time, I compared them [favorably] to some of the very well made Australian Syrah and Rhone blends that I have had. I would say the same of the 2011s, except more so. The fruit was consistently incredible, but to me the acidity has been really nailed on these, so that after every taste your palate just cried out for more. Law also made a fifth wine from the 2011 vintage. Called The Nines, it is 100% Grenache from two blocks of the Law Vineyard, block 9A and 9B. We did not get to taste this wine, unfortunately. It is the first of their black label series, reserved for a select few top of the line bottlings. I’m really curious how much better the wine could actually be compared to their outstanding “standard” lineup, and I am hoping one day soon to rectify that. As if as this wasn’t enough, we then visited the barrel room to taste some of the 2013 wines in barrel. 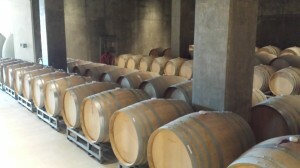 [2012 wines are already resting in bottles.] Tasting through the Syrah, Grenache, Mourvedre, Cabernet Sauvignon and Petit Verdot, it is clear that the high quality we experienced tasting the 2011s was going to continue. And with additional varietals being planted in the Law vineyard [Tempranillo, Clairette Blanche, Marsanne, Roussanne as well as a field blend of Syrah, Viognier and Roussanne] it is clear that Law Estate Wines has a great future ahead of it. 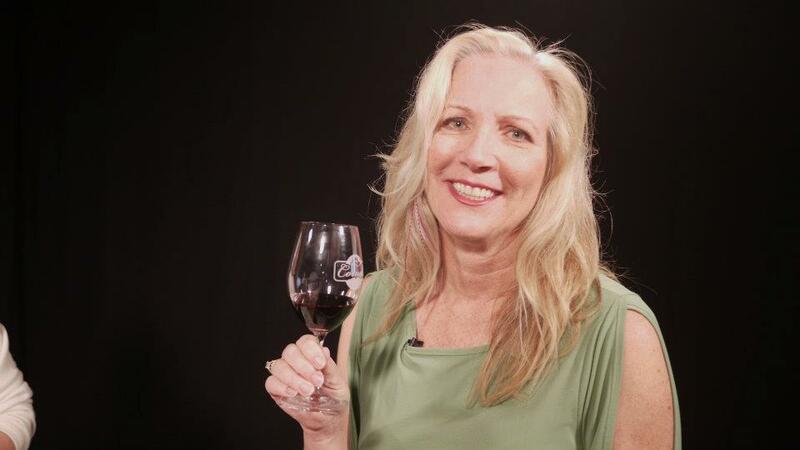 Last week, I reported on The Ojai Wine Festival as marking the end of the Los Angeles area outdoor wine festivals until autumn. Well, we had one more to go be before calling it a season. And like the Ojai festival, this was in another remarkably scenic location. 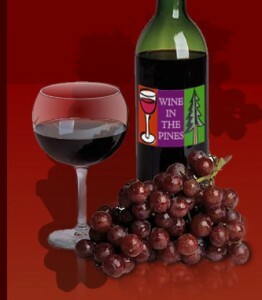 Wine In The Pines is held in Pine Mountain Village. 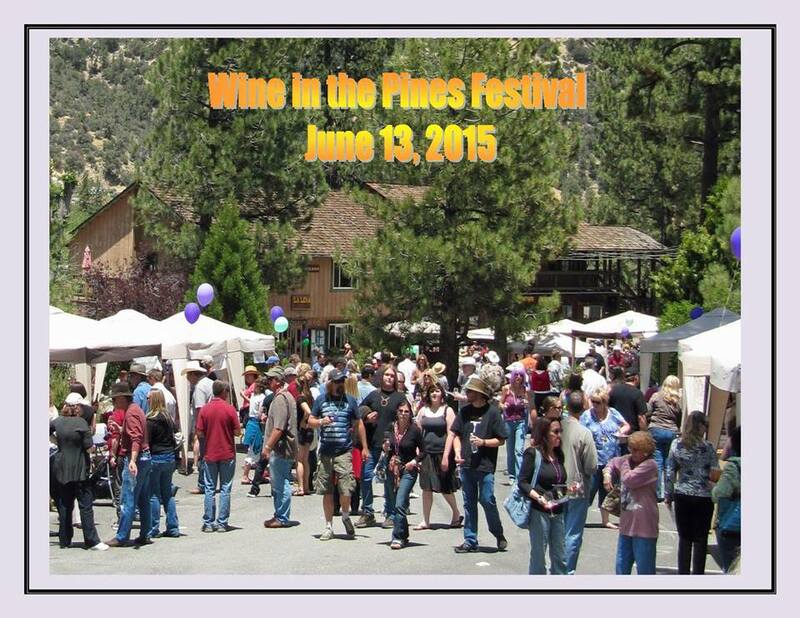 Since 2003, the Village of Pine Mountain Club has hosted a wine festival every June. So, on Saturday, June 14th, we headed up the 5 freeway to the Frazier Park exit and headed west up into the amazing scenery only an hour or so away from the Santa Clarita Valley. Last year, the event had a new organizing team, and in my opinion they unjustifiably took some heat, mainly because of, well, the heat. In 2013, the weather the day of the event was unusually hot, up into the 90s I believe. And let’s face it, alcohol and heat just don’t mix. This year, the weather was back in the normal 70s, and the winery list was also improved. The wines have more and more impressed me from our own backyard. I especially liked the whites from Coruce and I’ve mentioned the Golden Star Syrah so often someone might think they are paying me – they’re not. Brucher from Santa Barbara was pouring a very nice Syrah as well. Gen 7 Wines answered a question for me that’s been bugging me for some time. 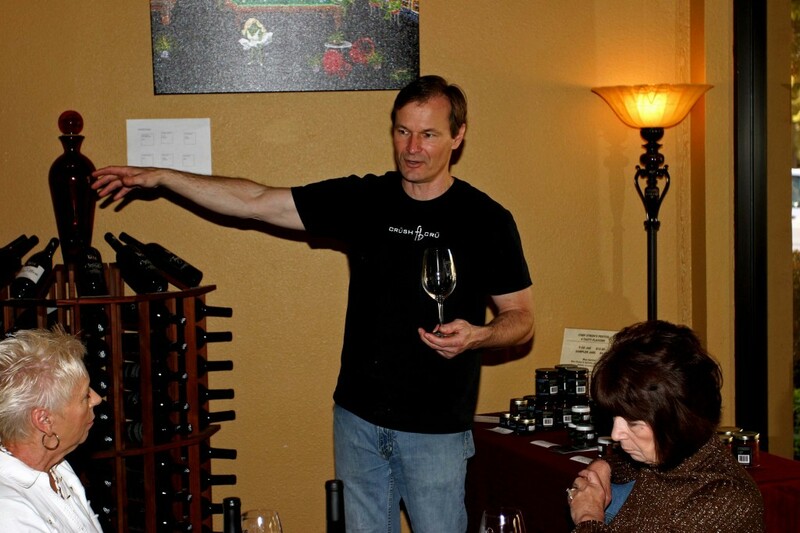 Does anyone remember the Brookside winery tasting rooms that used to be around in the 1970s? I remember there being one on Sepulveda Boulevard in the San Fernando Valley. I always wondered what happened to them and I found out at the festival. The roots of Brookside actually went back to the 1800s, but Beatrice Foods purchased the company in 1972 and the winery eventually went out of business in in 1986. But, Tim Bacino, six generations removed from his family members who started it all, and his wife Suzanne, started Gen 7 (their young daughter Gabriella representing the 7th generation) to carry on the family tradition). Their Zinfandel was one of my favorite wines of the day. Pomar Junction from Paso Robles was also pouring some winners, especially their Train Wreck blend of Zinfandel, Mourvedre, Cabernet Sauvignon, Syrah and Petite Syrah. Any my favorite beers of the day were from our very own Wolf Creek. All of this, combined with great entertainment on a picture perfect Pine Mountain day left me with the feeling that the festival has a great future ahead of it. 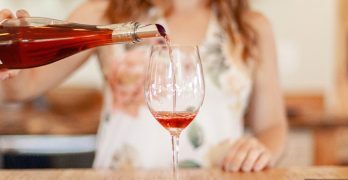 June brings the last of the outdoor wine festivals in the Los Angeles area, at least the last until the weather starts to cool off again upon the end of summer. 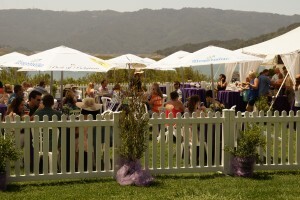 The Ojai Wine Festival was held Sunday, June 8th. Now in its 28th year, this event offers an amazing array of wines to taste, along with great beers, delicious food samples and live entertainment. An added bonus is that the festival takes place on the shore of beautiful Lake Casitas in Ojai. In all, 23 different beers were being poured. Early entry, and while you are waiting to get in you get generous pours of some Barefoot Bubbly to get you in the mood. And Stella Artois was also pouring their refreshing apple cider. Last but not least, I need to mention the free boat rides and the great entertainment by Captain Cardiac and the Coronaries as well as Beatles tribute bank Sgt. Pepper. This is an outstanding, well-run event. There’s a good reason it has been around 28 years. And, the net proceeds go to aid local Rotary community service projects.